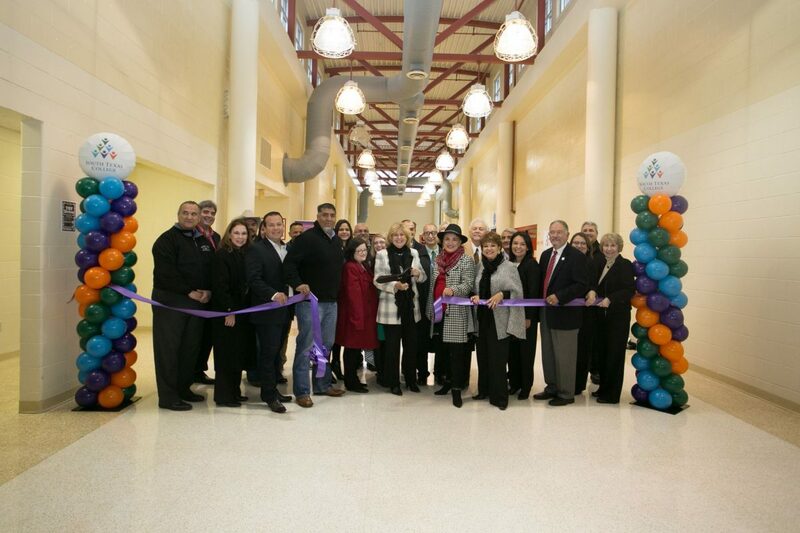 South Texas College, together with the La Joya Independent School District held a ribbon cutting on Friday morning celebrating the expansion of the South Texas College Higher Education Center located at La Joya. LA JOYA — South Texas College and the La Joya school district Friday marked the expansion of the South Texas College Higher Education Center located at La Joya. The expansion is part of the bond issuance passed by voters in 2013. STC contributed $1.6 million and the school district contributed $400,000 toward the project that will provide state-of-the-art classrooms for STEM programs and welding workforce training. New facilities include upgraded science labs, lecture classrooms and computer labs that will support STEM programs, according to a news release. An outdoor welding lab also includes 45 stations for students in order to provide workforce preparation for careers in welding. “We want La Joya and all of western Hidalgo to know that South Texas College has established a higher education center,” said STC President Shirley A. Reed. “We are here for the community. We just completed the renovation of classrooms, computer labs, state-of-the-art labs for STEM, and we constructed a welding lab that will accommodate students seeking to learn state-of-the-art welding techniques. The teaching facility in La Joya offers an alternative for local residents who can now earn these associate degrees closer to their hometown, and without traveling to one of STC’s traditional campuses. More than 40 courses are offered at the Higher Education Center at La Joya in order to fit students’ busy schedules. The HEC also offers courses that lead to certificates in business administration, information technology and human resources. Developmental courses and popular science, technology, engineering and math courses are also offered onsite. “Today is a wonderful day for La Joya ISD,” said Alda T. Benavides, La Joya school district superintendent. “Through our partnership with STC we are able to enhance the opportunities we provide for students, and that’s really what this is all about.